Just got back from photographing the fabulous Sunbeam ‘Tiger’ land speed record car out for the first time in years . 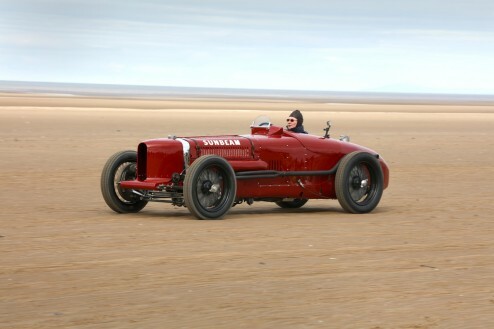 It was running on Ainsdale beach near Southport exactly 90 years to the day since Sir Henry Segrave drove it to 152.3 mph to clinch the record and was part of the brand new Southport Festival of Speed to celebrate racing in the northern seaside town over the years. The ‘Tiger’ features a 4 litre quad cam dry sump supercharged V12 beast of an engine specially built in 1925 for Segrave by the Wolverhampton based firm and was originally named ‘Ladybird’. The car is currently owned by the Force India F1 team principal Vijay Mallya who has restored the car and was driven on the day by curator Malcolm Page who looks after the Mallya collection. 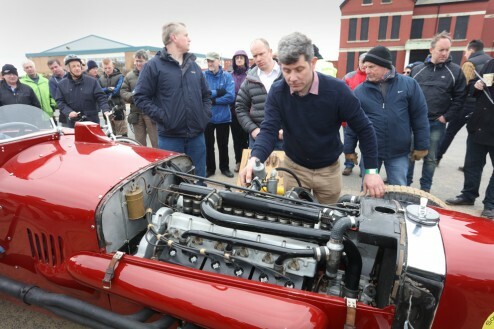 Starting procedure is complicated for this highly advanced racing engine involving fitting a separate carburetor and changing from soft to hard spark plug once the engine is warmed up.With vintage specialist Nick Benwell and others helping, the glorious engine fired up without too much fuss and this Historic car once more roared onto the Southport sands again.